While the Broncos were quick to address the ever-present hole at tackle quickly in free agency by signing Ja’wuan James, allowing Billy Turner and Matt Paradis out the door has left a nasty hole right in the middle of their offensive line. Since being signed before the 2017 season, Ronald Leary has been the rare bright spot on the Broncos’ consistently line, earning an overall grade of 68.9 during his two seasons in Denver. However, he’ll be on the wrong side of 30 in 2019 and injuries have been a major concern. 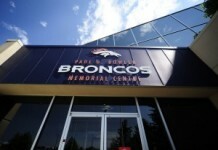 Leary has only seen the field for 17 of the 32 games the Broncos have played in that span. He is also coming off a torn achilles which cut his season short in Week 6 of last year. 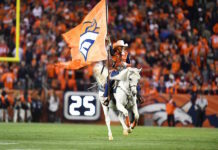 With all that in mind, one would think that the Broncos need to be in search of a left guard to replace Leary, however, the problems at center and right guard are far more pressing. While center Connor McGovern and guard Elijah Wilkinson don’t have the same age or injury concerns, their play does raise some eyebrows. While McGovern excelled at guard through the first eight weeks of the season, he was one of the worst centers in the league while filling in for the injured Paradis. Between Weeks 12 and 15, McGovern averaged an overall grade of 41.3, and a pass blocking grade of 20.6. Meanwhile, Wilkinson is a tackle who was forced into playing guard out of necessity. While he didn’t struggle quite as much as McGovern, he wasn’t more than pedestrian, earning a grade of 61.2 on the season. Though an immobile quarterback like trade acquisition Joe Flacco should be sweating about playing behind Wilkinson, who earned a poor pass blocking grade of 48.3 on the season, and 34.9 from Weeks 11 to 14. This sentiment surrounding the interior of the line was shared by the well-sourced Mike Klis. While there isn’t a true guard prospect worth taking in the top ten this year, the Broncos should absolutely make addressing the interior a top priority. 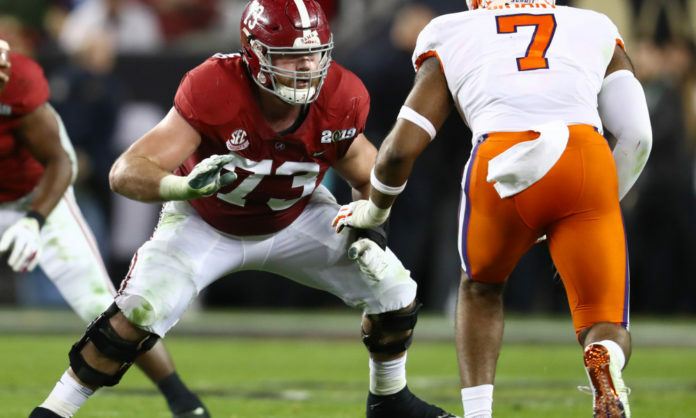 If the Broncos do choose to address guard with the tenth pick, Alabama tackle Jonah Williams would be a great fit. Williams certainly has the talent to be a solid starter at tackle for years to come but arm length is an issue. Due to his strength, technique and high football IQ, Williams could be a top-tier guard or center where length isn’t as much of an issue. According to NFL Network’s Daniel Jeremiah, Williams ‘has the potential to be a pro bowl level guard early in his career.’ Bleacher Report’s Matt Miller was even more bullish, stating that although he believed Williams could be an elite tackle, he could be an All-Pro on the interior. Outside of Williams, there isn’t an offensive lineman that would make much sense with the tenth pick. 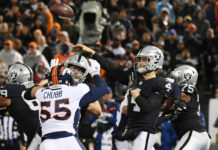 If John Elway was willing to either trade down or package picks to try to trade back up into the first round, Garrett Bradbury would be a no-brainer selection. Bradbury is the best true interior offensive lineman in the draft and should be considered a lock to go in the first 30 picks. Like Williams, he would best fit at center which would allow McGovern to move back to guard where he played well last year. Another plus of Bradbury is his athleticism and awareness, making him perfect for Munchak’s zone-blocking scheme. While Williams and Bradbury are without a doubt the best options at the position, a first-round pick could be too rich for a center in the Broncos’ eyes. In which case Kansas State’s Dalton Risner and Texas A&M’s Erik McCoy would be perfect fits on Day 2 of the draft, the latter of which we had coming to the Mile High City in our latest mock draft. Whichever direction Elway decides to go in, he shouldn’t let the hole at center and guard exist past the second day of the draft. Flacco will need a clean pocket to succeed, and if he doesn’t, Elway’s days as general manager of the Broncos will be numbered.